Hello and welcome to the October edition of Brussels News Updates, bringing you all the latest updates from our Brussels office, upcoming events and activities! In this month’s issue, we are very pleased to share with you our new and unique Periodic Table, spotlighting the growing issue of element scarcity. The Periodic Table aims to raise awareness over the worrying decline in some of the chemical elements that make up the world around us, as well as to rethink the way we use and discard electronic products, and in particular our smartphones. Scroll down for some updates on the future research funding programme Horizon Europe, Open Science policy, and the launching of the piloting of our online course on Ethics and Chemistry. Registration is open for our upcoming workshop on Parkinson’s disease: causes and cures, jointly organised with the European Parliament and the European Federation for Medicinal Chemistry (EFMC), so make sure you save your place now! 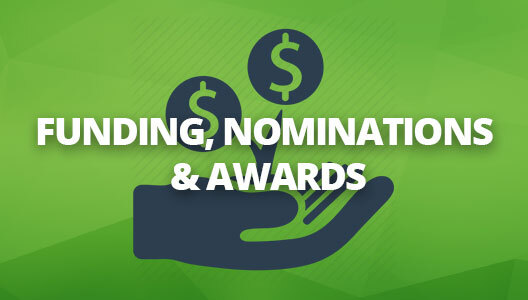 And last but not least, you can now submit your nominations for the EuChemS Lecture Award and the EuChemS Award for Service online now (deadline: December 31st)! 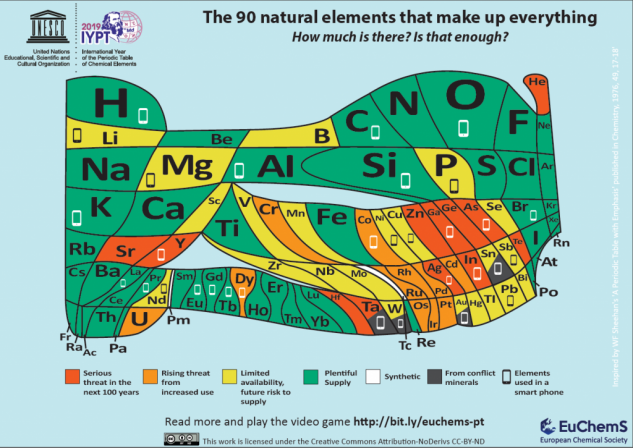 The smartphone you may be using right now to read this article and look at this Periodic Table is made up of some 30 elements – over half of which may give cause for concern in the years to come because of increasing scarcity. With some 10 million smartphones being discarded or replaced every month in the European Union alone, we need to carefully look at our tendencies to waste and improperly recycle such items. Unless solutions are provided, we risk seeing many of the natural elements that make up the world around us run out – whether because of limited supplies, their location in conflict areas, or our incapacity to fully recycle them. Click here for the full article! On 28 September, the Open Science Policy Platform (OSPP), a High-Level Group of stakeholders, which includes EuChemS, and tasked to advise the European Commission on Open Science policy met for the 6th time to discuss the latest updates on Open Science in Europe. An important topic was the launch of Plan S, which has the potential of deeply altering the current framework surrounding access to scientific journals. But EuChemS remains concerned that many implications of Plan S continue to be disregarded and many questions left unanswered. Read our full debrief here. On 28 August, EuChemS published an updated Position Paper with amendments on the proposed plans for Horizon Europe, successor to the Horizon 2020 research framework programme. 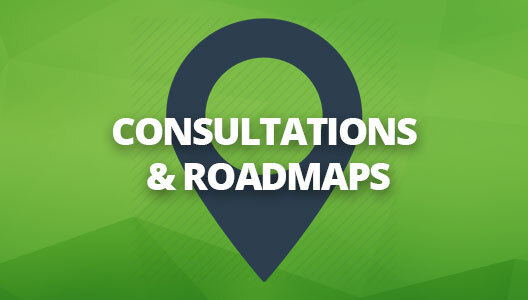 At a recent hearing in the European Parliament, various aspects of the plans for Horizon Europe were debated, including the excellence pillar, geographical distribution of funds, and more. Read our article here. Join an outstanding line-up of speakers at a joint EuChemS, EFMC and European Parliament workshop on 8 November 2018 from 09:00 – 12:00 at the European Parliament in Brussels to hear about how we can move clinically - and politically - towards better understanding the disease and finding ways to cure it. 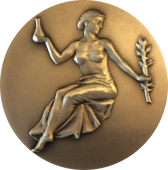 Nominations for the EuChemS Lecture Award and the EuChemS Award for Service are now open! We are happy to announce that the call for nominations for the EuChemS Lecture Award and the EuChemS Award for Service are now open! Click here for all the information you need, and start submitting! On 1 October 2018, EuChemS officially launched the piloting stage of its first online course on Good Chemistry: Methodological, Ethical and Social Implications. 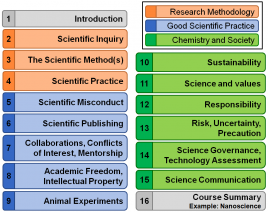 The course will be tested out by a range of university professors, students, as well as other interested individuals. Click for more! Open Consultation on "industrial trans fats in foods - setting a legal limit"
The 4th edition of Chemistry in Europe is soon to be released. Make sure you sign up to receive it straight to your email inbox!